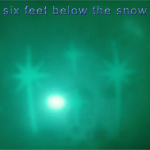 Taken from Silber Recordings excellent new Christmas compilation which can be downloaded in full below. 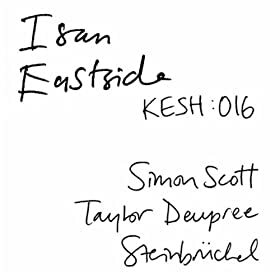 One of five versions of "Eastside" on the new Isan EP which is available now on Kesh. Secret Colours are back with a new EP snappily titled "EP3" which will be released on 1st January from which this track is pulled. This is a track from the Fife band's new "Purgatory E.P." which can be downloaded in full below. This has been on my i-pod for the last few weeks and for some reason has been consistently forgotten about when it comes to putting these things together. Not this time however. It's one of six superb tracks on an E.P. 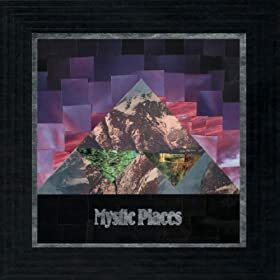 called "Mystic Places" which is available now on Fire Talk, a label on which I don't think I have anything else but they seem to have quite a big back catalogue. The first taste of The Caretakers forthcoming second album and bloody catchy. Get yer dancing gear around this. It's taken from an E.P. called "Amber Embers Vol 1" which is the first is a series of three E.P.s the Minneapolis artist will be releasing over the next couple of months. Dot Dash are probably the best band in Washington D.C Quite a claim I know But I haven't heard anyone better and it helps their case that one of their number used to be in St Christopher who are probably the best band to come out of York in the last thirty years or probably ever. 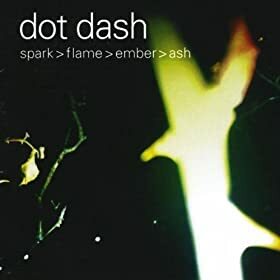 Anyway this is a track from their debut album "Spark >Flame>Ember>Ash" which contains fourteen tracks and it rather wonderful in the same way that I've already had three Christmas lunches and each one tasted great, there's not a bad track on here. Some people will suggest they sound a bit dated but with this ridiculous 1950's revival that seems to be going on at the moment it's the future! This is splendid. I had it on full blast this morning and can still hardly hear a bloody thing. This track originally appeared on the Vancouver bands "Zechimechi" album earlier in the year but has now received some remix treatment from Davey Badiuk and Sam Ryan. Good job fellas! Possibly ones to watch for 2012? Field Mouse are a four piece from Brooklyn and are not to be confused with the Field Mouse from Clyde Valley who recently issued a split cassette with Japanese War Effort. This, I'm led to believe is the first taste of an E.P. which will be released early next year on Small Plates Records. This is a track from the Swiss duo's debut e.p. which is available from their Bandcamp page. A brilliant version of the Buddy Holly classic.